This little black crop top is sure to elevate your off-duty look. 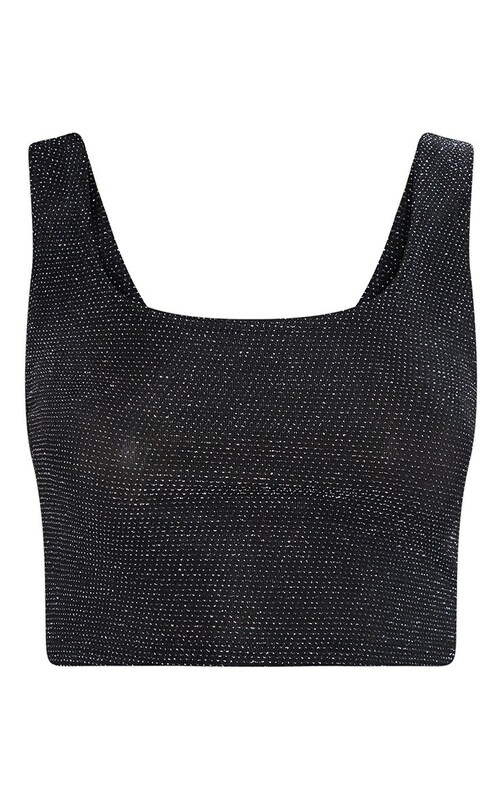 Featuring a black glitter material with a scoop neckline and a cropped length. Style this with vinyl trousers and barely-there heels for a day to night look.